2011 Reprint of 1790 London Edition. Today Adam Smith's reputation rests on his explanation of how rational self-interest in a free-market economy leads to economic well-being. It may surprise those who would discount Smith as an advocate of ruthless individualism that his first major work concentrates on ethics and charity. In fact, while chair at the University of Glasgow, Smith's lecture subjects, in order of preference, were natural theology, ethics, jurisprudence, and economics, according to John Millar, Smith's pupil at the time. In The Theory of Moral Sentiments, Smith wrote: "How selfish soever man may be supposed, there are evidently some principles in his nature which interest him in the fortune of others and render their happiness necessary to him though he derives nothing from it except the pleasure of seeing it. 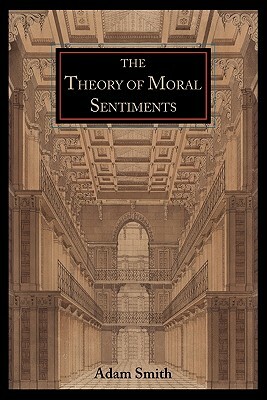 "The Theory of Moral Sentiments establishes the intellectual framework for all of Smith's later work, including the monumental Wealth of Nations.